Creating an online atelier experience. 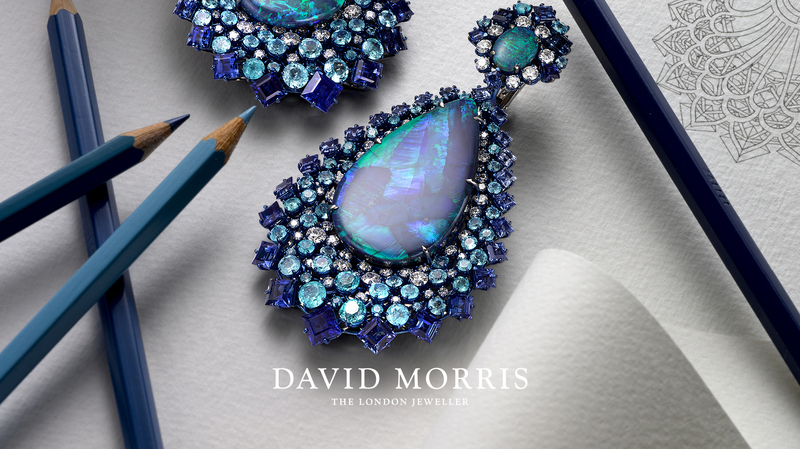 For over five decades David Morris has been designing and creating beautiful couture jewellery using the finest hand-picked stones, from its New Bond Street studio in London. 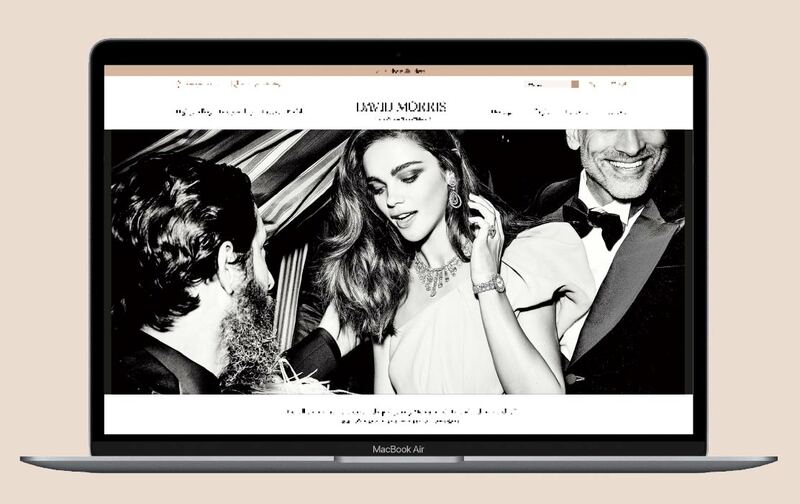 David Morris invited us to create an online atelier experience that truly reflected the brand and set them apart from other luxury Jewellery brands. 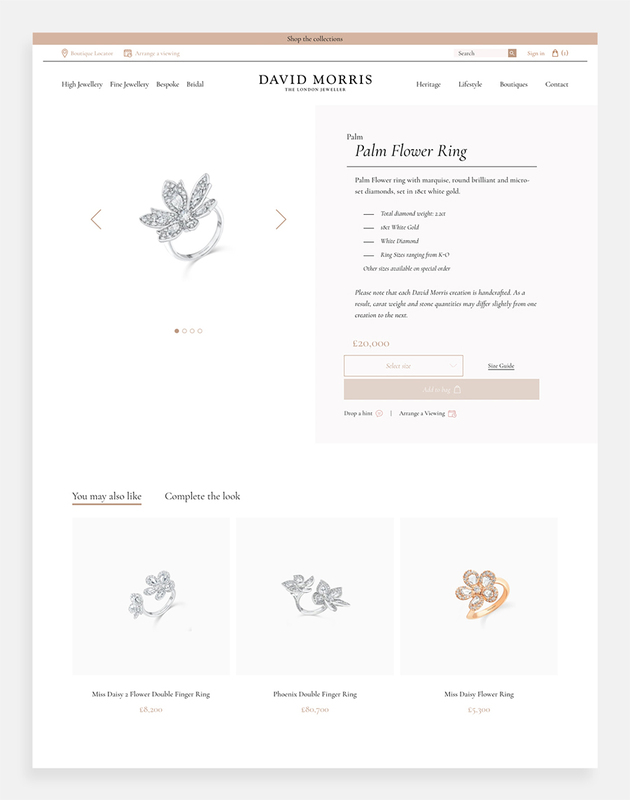 Our approach was to create a graceful site, using subtle animations to sit alongside beautiful images and videos. 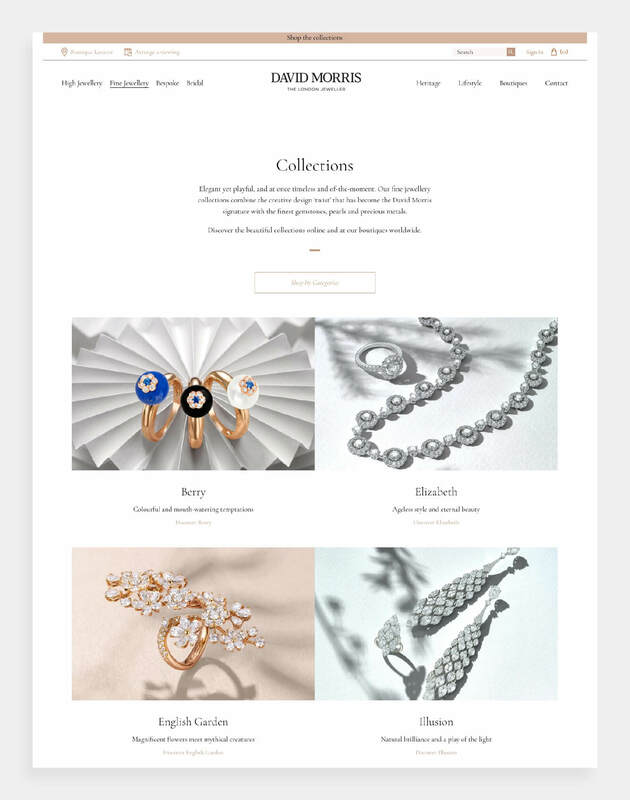 The site is feminine, luxurious and contemporary; effortlessly immersing the user with a mix of collated collections and emotive content. We introduced user centric design functions such as a filters, wish lists and drop a hint. Clean UX seamlessly leads users into ‘boutique’ areas or encourages them to explore and enquire. The content is globally relevant, and reflects the care and attention that went into the creation of every piece.